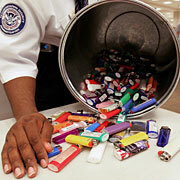 TSA LIGHTER BAN LIFTED: The Power Of Mojo! UPDATE: On Tuesday, I blogged about my lighter and flying. 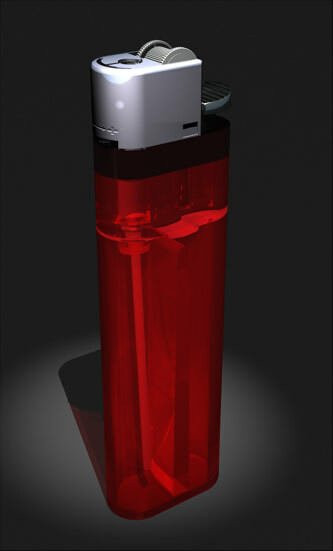 Today, it was announced that lighters will be permitted on flights , beginning August 4, 2007. OK, so maybe I had nothing to do with it. Thank goodness common sense prevailed in the end. I have a confession to make. When I fly, no one from the TSA has ever confiscated my lighter. I know that we are not supposed to fly with lighters but I stow mine in my purse or coat pocket. I always figure that if the TSA folks find it, they will take it. However, they never find it and I always arrive at my destination with my lighter. I honestly don’t mean to get anyone in trouble, including myself. It seems to me, however, that if the TSA makes all sorts of rules about what we can and cannot do, they need to be honest about their capabilities. Are the TSA folks who smoke sympathizing with me, and letting me keep my lighter because it is clear that I am not an evildoer? Or, is it truer that their technology is not perfect and they are not properly trained to spot contraband? 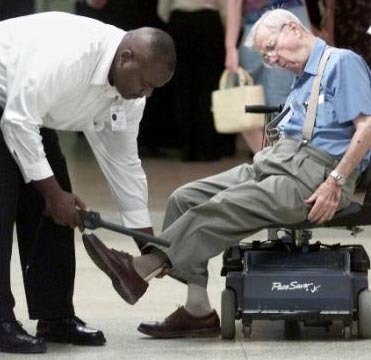 Keep these questions in mind the next time you watch TSA guards pat down little old ladies at the front of the line. Ask yourself this, who’s the bigger idiot – me with a lighter or them for embarrassing little old ladies? I’m speaking up about this, because I know of many other smokers who have the same story as I do. We know that the rules are useless. If the TSA equipment and personnel can’t detect something as basic and simple as a lighter, how in the heck can they detect something more complex and sinister? The security alerts and restrictions on what a person can carry onto an airplane seem little more than hype designed to scare people. People who are afraid follow orders. Bucking the system and defying the rules has taught me not to stress about flying and not to be intimidated by the TSA. They can make me remove my shoes, take away my carry-on coffee and make me throw away my make-up, but they can’t take my pride. I am no safer flying than I was post 9/11, and neither are you. Does this change anything? No. A free democracy comes with some risks, and I am willing to absorb those risks. To live without freedom and the risks associated with democracy means the terrorists have won. I will not be terrorized. Not by bad guys and certainly not by my government.